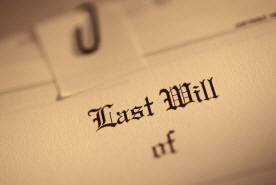 Attorneys, accountants, executors and others rely on Bennett Appraisals, Inc. for "date of death" valuations because such appraisals require special expertise and training. They require a firm that's been in the area for some time and can effectively research comparable contemporaneous sales. Bennett Appraisals, Inc. serves the following areas: Bellingham, Birch Bay, Blaine, Custer, Ferndale, Fairhaven, Geneva, Silver Beach, Sudden Valley, Sumas, Acme, Anacortes, Alger, Bow, Burlington, Cain Lakes, Concrete, Deming, Edison, Emerald Lakes, Everson, Glacier, Kendall, Laurence, La Conner, Lynden, Lyman, Maple Falls, Marblemount, Mount Baker, Mount Vernon, Samish Island, Sedro Woolley, Van Zandt, and all of Whatcom & Skagit Counties. * Time permitted we also serve the Point Roberts area. Do You Have a Residential Appraisal Question?